Marchionne: "There are 4-5 of us (carmakers) at the global level, if something needs to be done, it will be done." GENEVA -- Fiat Chrysler CEO Sergio Marchionne said he was looking forward to meeting Volkswagen boss Matthias Mueller to discuss a possible tie-up between the two carmakers but added he hadn't seen his counterpart in six to seven months. His comments on Tuesday came in response to a question about Mueller's suggestion last week that he did not rule out merger talks between the German and Italian-American car manufacturers. "We are waiting with anticipation," Marchionne told journalists on the sidelines of a meeting in Geneva on Tuesday. "There are 4-5 of us (carmakers) at the global level, if something needs to be done, it will be done. I haven't seen Mueller in 6-7 months, but I will go find him at the first opportunity." The manager said his company's first quarter was going in line with expectations. He added the group was working with the authorities in the U.S. to understand how the new system for emissions regulations will work. Both Marchionne and Mueller have been all over the map in recent weeks on the question of meeting to discuss a merger. Marchionne, following a meeting with President Donald Trump in Michigan on March 15, said he has "zero interest" in pursuing a merger with Volkswagen, despite first bringing up the possibility earlier in March. "I only said that if you were the No. 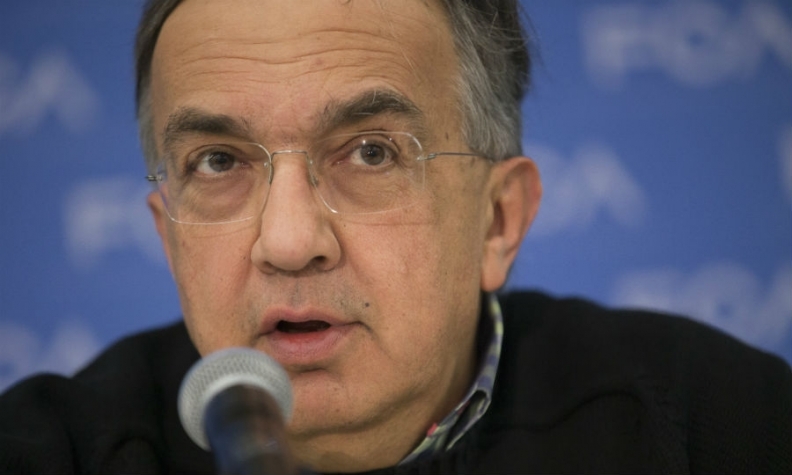 1 automaker in Europe and somebody combines with another automaker to become the second and gets very close to your position, your very first reaction is to distance the second again," Marchionne said. "We are the only natural combination partner for somebody who wants to do that. If you were playing a chess board game, that's what you would do." Marchionne said he'd be open to listening to offers from Mueller. "If he wants to come, he knows where I live," he said. "I didn't chase him and I have no intention of chasing him. But if I'm right on consolidation and the fact you need to build scale, we're the natural place to go for him. "I will not call Matthias. I have no interest." Mueller has vacillated as well. “There is no contact at this time between me and [FCA CEO Sergio] Marchionne,” Mueller said during a press conference in Wolfsburg on March 14. But Reuters later reported that Mueller, in a later discussion with German reporters, sent mixed signals on talks with FCA. "I am not ruling out a conversation," Mueller was quoted as saying. "It would be very helpful if Mr. Marchionne were to communicate his considerations to me too and not just to you." "I am pretty confident about the future of Volkswagen, with or without Marchionne," he added. Reuters staff and Automotive News contributed to this report.